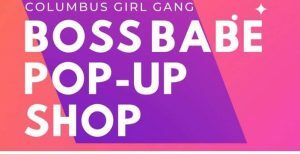 Columbus Girl Gang presents a FREE Boss Babe Pop-Up Shop! Join NAWBO member Andrea Archibald at 6 pm on Friday, May 31st for networking and of course, shopping at the Columbus Girl Gang FREE Boss Babe Pop Up Shop! Support local business women and come shop a variety of local beauty, wellness, food, and fashion-focused businesses. You will experience both products and services from Columbus’ local Boss Babes. The market will be held at King Business Interiors and it will feature a wide variety of vendors. The First 100 Shoppers through the door receive a Swag Bag! Free Business Builder Breakfast Series! Register today! 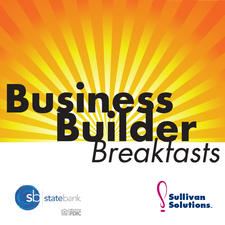 Join NAWBO member Karen Sullivan of Sullivan Solutions for the Business Builder Breakfast Series. The Business Builder Breakfast series is a new series designed specifically to help small business owners address opportunities to grow their businesses to the next level. Brought to you by the business growth catalysts at Sullivan Solutions and The State Bank. This Business Builder series includes 3 FREE workshop sessions. 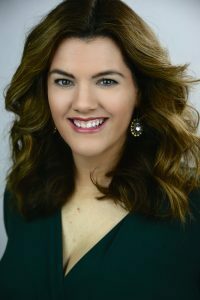 Session Title: The Art of the Stay w/ NAWBO member and CEO of GO-HR. Session Description: Finding and keeping the right people is crucial for scaling any business and may very well be the single most pervasive concern for any business at every stage. What insights can you use to successfully navigate the current market? Session Description: The marketing struggle is real. There are so many options and so many expensive pitfalls. Our panel has seen it all. We’ll have a candid discussion about what works and what doesn’t when marketing isn’t your full-time job. Bring your questions. No subject is off the table. Session Title: Leveraging Accounting to Scale with Hilary Dodson and Tracey Holecek from our Corporate Partners at Kaiser Consulting. Session Description: Learn how to understand the health of your business and the potential strategies to foster your growth. With both local and global clients, Kaiser Consulting drives value through a solid audit and analysis process. Learn more about these FREE sessions and register here! In 2015, when NBC4 chose not to renew Hunt’s contract, local news viewers were seemingly devastated. There were a lot of questions about why she was no longer on the show, where she went, and exactly what happened. Years later, from time to time, Hunt will get a message on Facebook from someone saying, “I’m so glad I found you!” or “I didn’t know where you went. What happened?” Others told Hunt they called the station, left voicemails, and were even given the news director’s phone number, but never got a callback. Do you want your team to bring their best to work? Of course you do! I want that for you, too. Join NAWBO member for her “Great Teams on Purpose Mastermind” beginning April 9! What is the Great Teams on Purpose Mastermind, anyway? It’s for managers and leaders of intergenerational teams. Your transformation as a leader can change your team! Please note that registration for this program is extremely limited. Don’t miss out on joining me for the Great Teams on Purpose Mastermind! Register now. The doors of NorthAvenue opened January 1st, 2019. However, the seeds of this practice were planted several years earlier when Kristen and Chandler first met. Kristen had already built a solid foundation in financial planning. 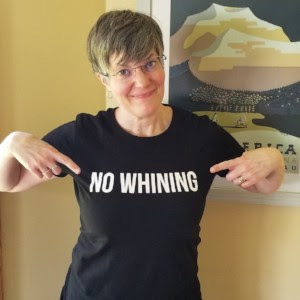 After graduating as a dual major in Finance and Marketing, she helped hundreds of clients plan their financial well-being working as a senior financial advisor for over a decade. But during that time something was missing – the opportunity to satisfy her unique vision for holistic financial planning. Following a math-intensive education in actuarial science, Chandler spent several years as an actuarial analyst in healthcare. Although she found this work fulfilling, it all took place behind a computer screen. After one-too-many dreams about Excel spreadsheets, she realized it was time to explore a career shift towards more immediate and personal relationships with clients. At the start of their own new beginnings, winds of change brought these two focused and driven women together to forge a partnership and break the mold in a male-dominated industry. They bonded over their love of musicals, travel, and in particular their desire to provide unbiased fiduciary advice. While in Chicago for a business conference, they retreated to the lounge of The Robey, a stylish hotel on North Avenue, to brainstorm ideas for an exemplary business. There, they came to the table with an idea of what set them apart from their contemporaries. Attributes that already propelled them forward within their own careers: attention to detail, thoughtfulness, and a work ethic that just won’t quit. Discussing this made them realize their connection was special. The day was spent exploring and refining their vision, overlooking North Avenue with breaks for discussions over Cuban food and a walk through the historic suburb of Wicker Park. That day two financial professionals finalized a joint vision of a company culture for their employees that prioritizes a reputation of excellent client service, support for professional development, advancement of a diverse financial planning industry and client base, and realizing higher values by giving back to their communities. The story of NorthAvenue is just beginning.